Cultivate Coworking is a coworking office space in Murfreesboro, TN located two blocks from the Historic Downtown Square at 107 W. Lytle. 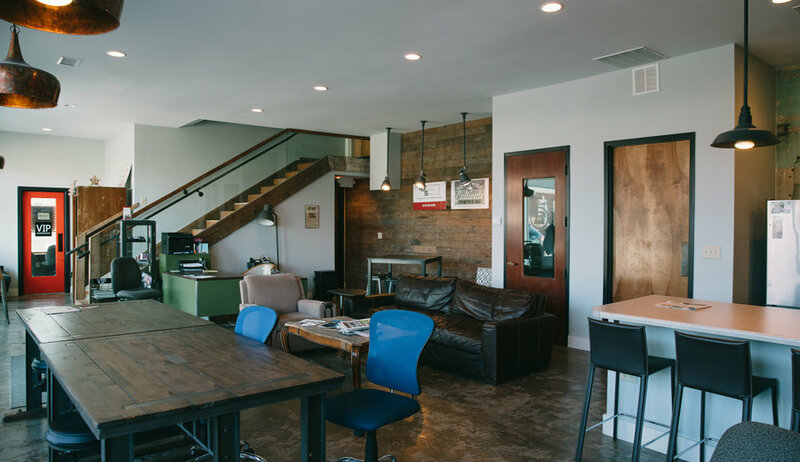 We are a welcoming community offering an alternative office space for independent workers, freelancers, non-profits, and small business owners. We provide high speed wi-fi, locally roasted coffee from Just Love, meeting rooms and events designed to help our members create a vibrant business community. Our services are available for a monthly fee based on usage of each member. There are no contracts or leases. Services include: small client meeting room, business mailing address, printer/copy/fax, conference room, phone booth, private offices, large group work tables, smaller individual tables and desks, secure, high speed Wi-Fi, free snacks and drinks, opportunities to meet other members and create your local business network. We also offer onsite business management services through our flagship member, Contract Management Services. Our goal is to create a welcoming, collaborative and professional atmosphere that caters to independent workers, professionals, start ups, non-profits, and freelancers.